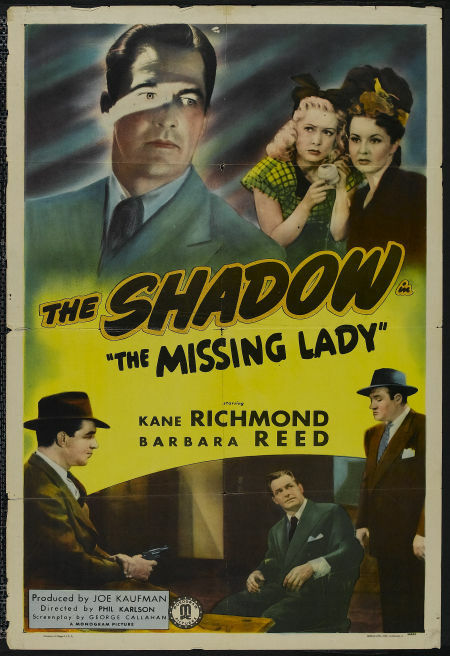 IN 1946 Monogram decided to bring one of the most popular pulp characters back to the screen.."The Shadow". They released 3 films in the series all starring Kane Richmond as Lamont Cranston alias The Shadow. Barbara Read starred as Margo Lane. Shrevvy was played by Tom Dugan in the first film and George Chandler in the last two. All good little "B" mysteries with a slight comedic overtone, they are among the hard to find films today ! 1. 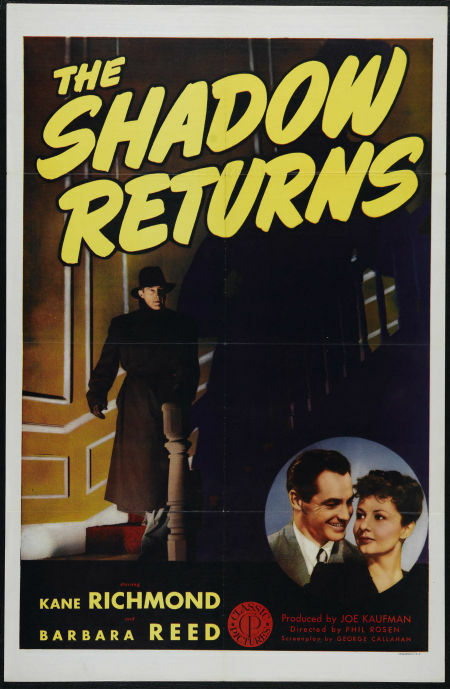 "The Shadow Returns"..People are literally flying off balconies to their deaths and Lamont Cranston, alais The Shadow investigates a confusing jumble of murders, disappearances, phony jewels and secret formulas. VHS comes on 3 tapes in plain white boxes.